I’ll Have the Quesadilla | That Yum Factor! 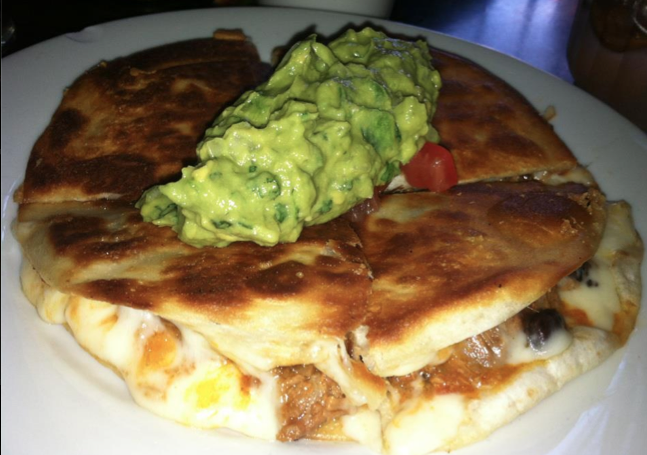 The Monterey Cheese and Black Bean Quesadilla with shredded beef is delicious, but extra delicious with cheese, guac, and a fried tortilla. The chicken is also in the same neighborhood of flavor-town. Posted in Manhattan - NY, Image format and tagged Midtown East on July 19, 2013 by thatyumfactor.